Operating rooms are designed for surgical procedures requiring anesthesia. 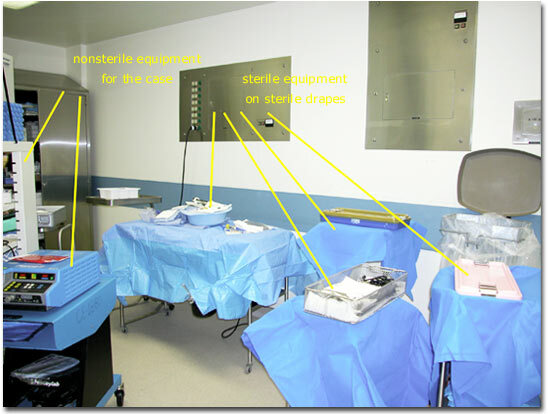 The general appearance of an operating room should be clean, bright and uncluttered. Ornamental or decorative items are typically not seen, however, a radio is often heard. Most of the instrument stands are metallic and may be covered with sterile drapes. Nonsterile equipment for the case may be large and is brought into the room as needed.